We present a very special and out-of-the-box space. 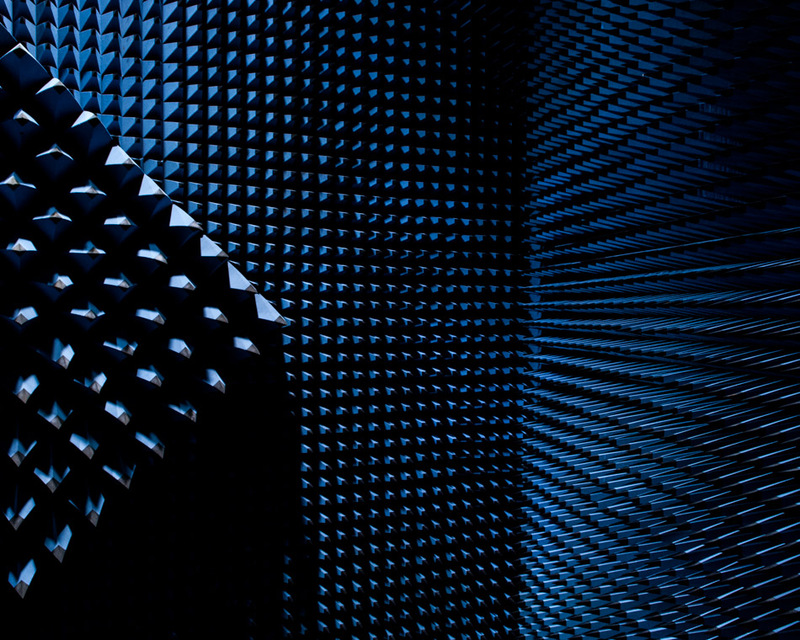 It is the radio anechoic chamber at Denmark’s Technical University (DTU). 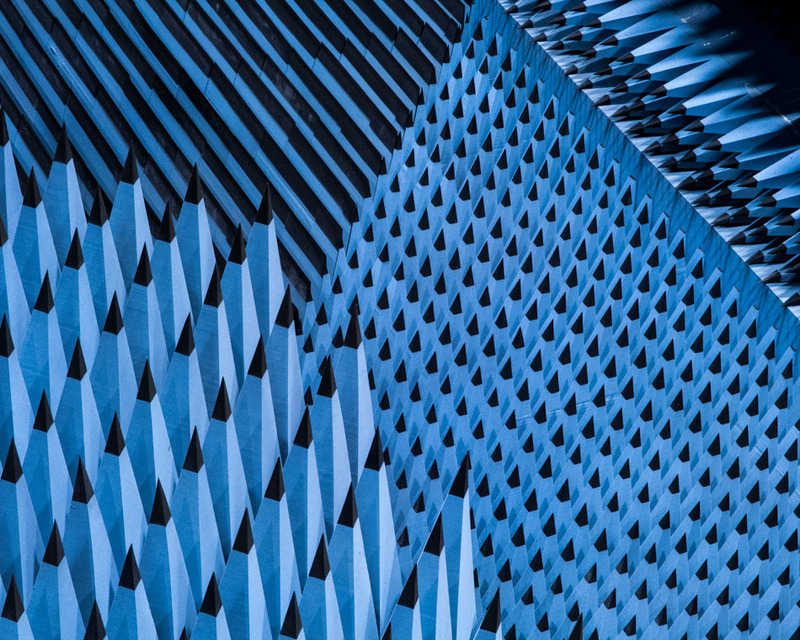 It opened in 1967, and is currently operated with the European Space Agency (ESA) for the testing of microwave antennas for use in satellites and mobile networks. 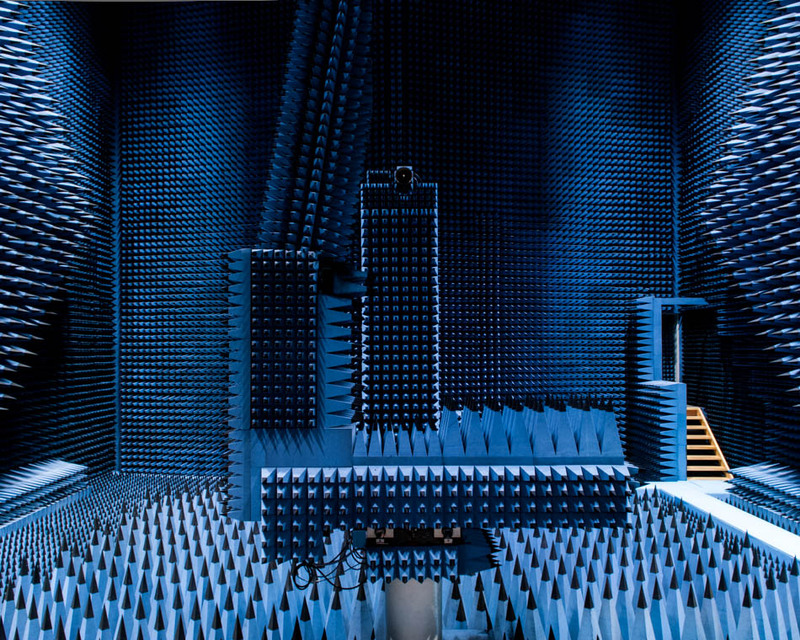 The room is filled with big foam spikes filled with carbon and iron to absorb the radio waves and minimise any reflections of microwaves. 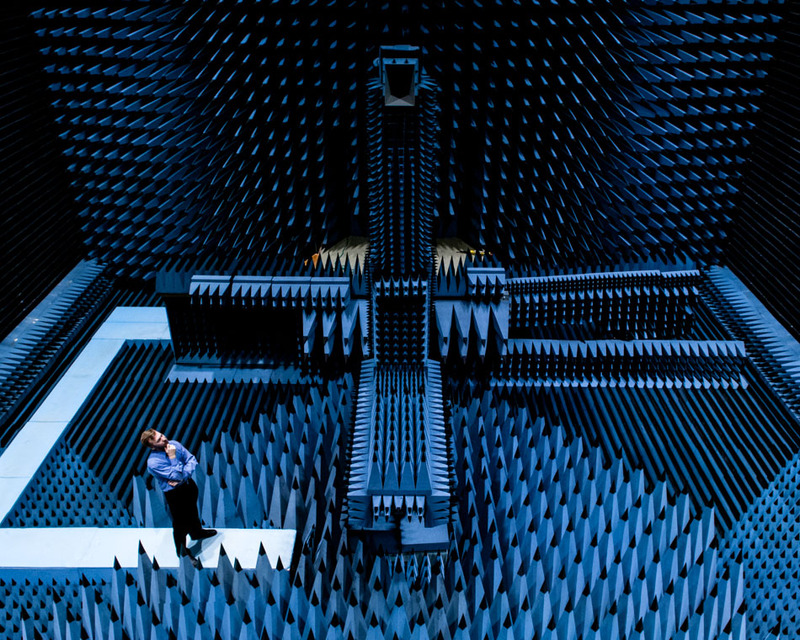 This room tests the effectiveness of the antennas without any external intrusion, simulating the conditions of space. Many of these chambers are blue in colour, but Sergey Pivnenko, the professor in charge of the chamber, confesses that most of them were black in the old days. 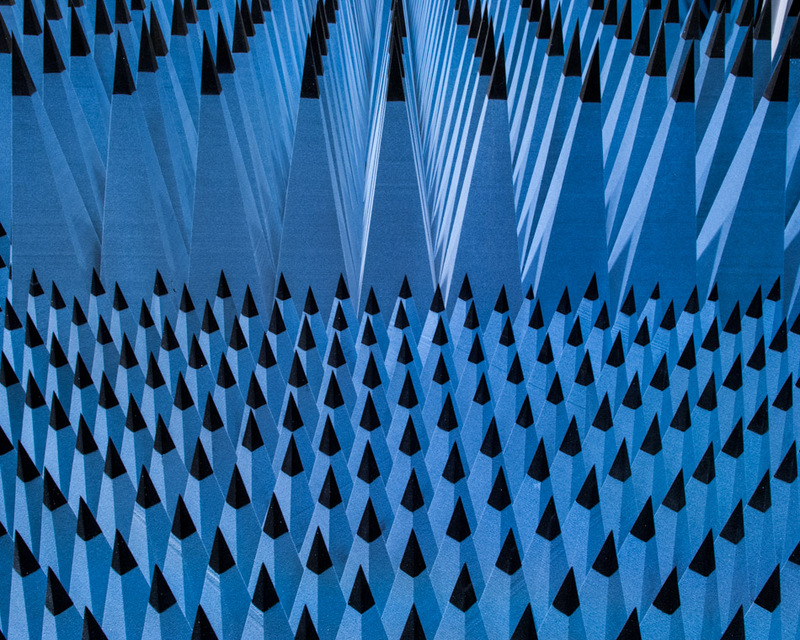 They realized that working in a complete black spiky room was a bit depressing , so the manufacturers of the spikes started to produce them in blue. 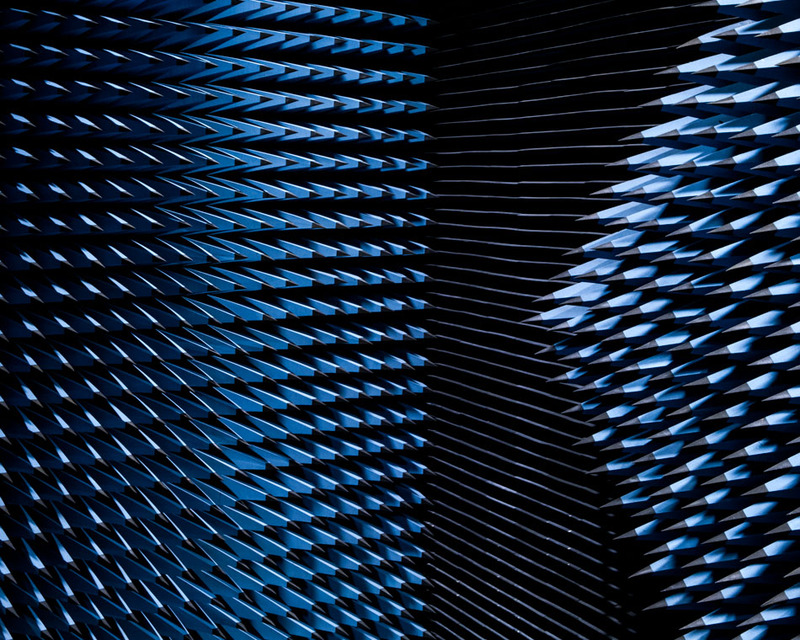 An example of how the colours and forms of any space affects our emotions and well being.